A good balcony design is a combination of cool landscape and interior design. When you design a balcony, you’re essentially designing an extension of your interior – a limbo between the inside and the outside. 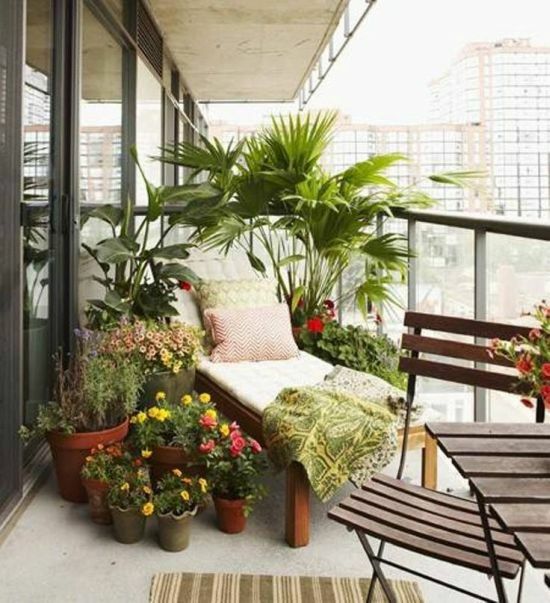 A good balcony design is supposed to be soothing, organic, and well thought out. You can always integrate some forms of architectural elements with landscape features such as small fountains, fire pits, and some well-placed potted plants. 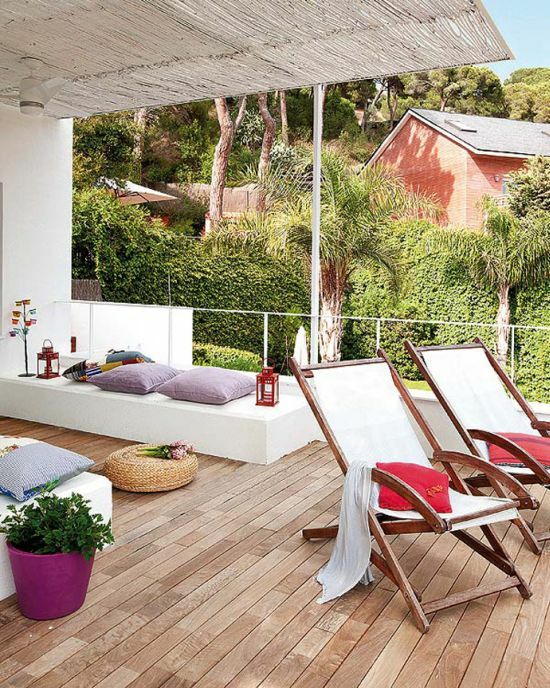 Today, we will be looking at a gallery of balcony designs ranging from contemporary to opulent. This kind of balcony has a dated feeling within its ambience. The railing on its side is a part of its design element and is done in intricate wrought iron designs. 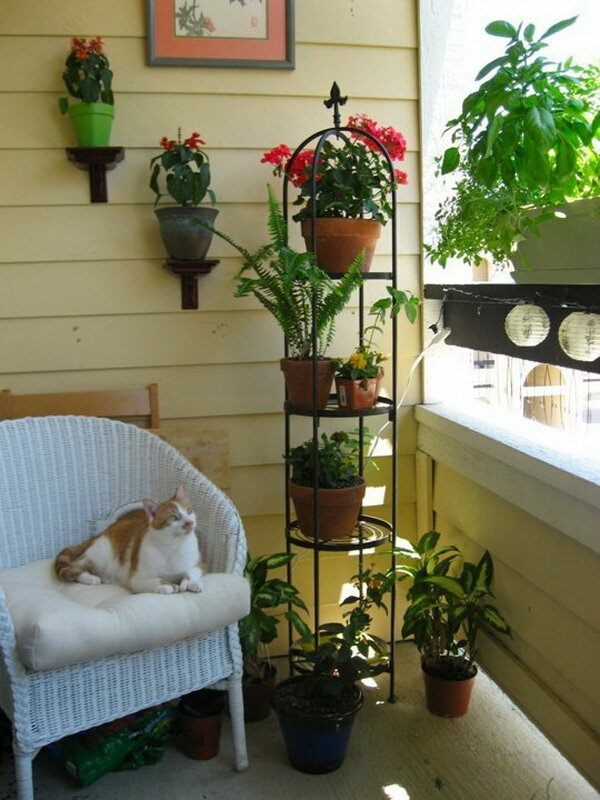 The wrought iron garden balcony design can be accentuated with carefully selected plants on either sides of its periphery, so that it enhances the design of the railing. 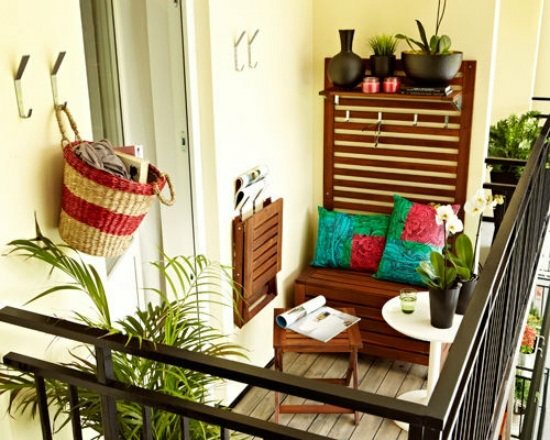 A contemporary balcony has all the trappings of modern conveniences. 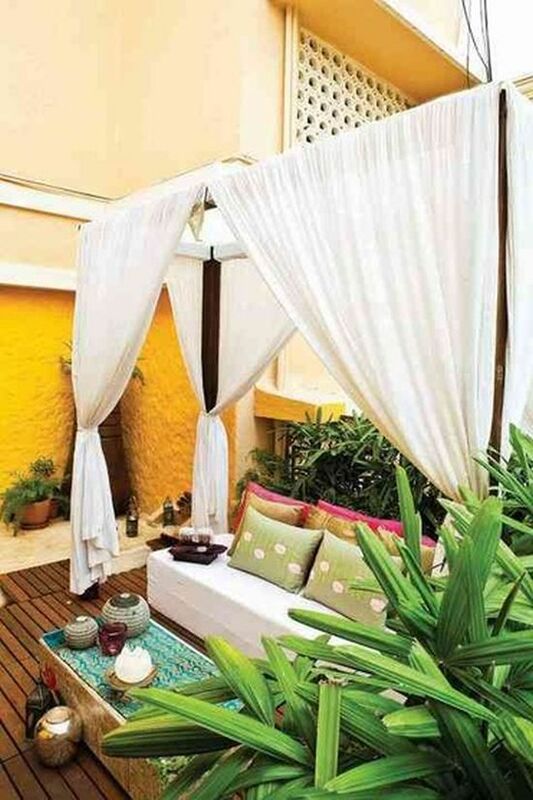 You can set it up with a relaxing chair and pair it up with some greens or even flower pots in the right places. Note that the decking for this kind of a balcony is always in wood, and the railing may or may not be designed in stainless steel. If you want a simple but impressive reprieve from a modern interior ambience, then you can design your balcony in a Zen landscape. 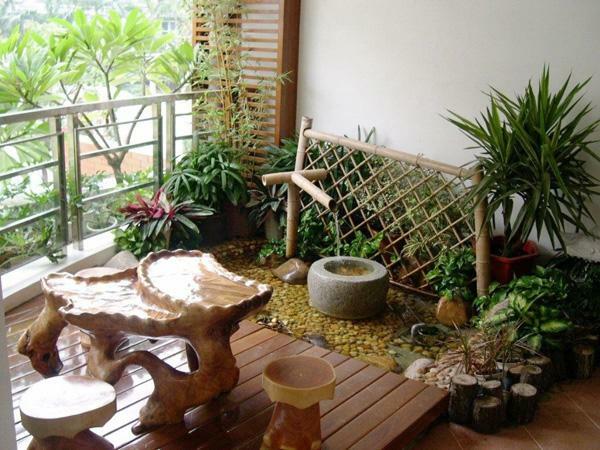 The Zen garden balcony design features a small water body, bamboo features and some bonsai plants that are strategically arranged around the space. If spreading out the planters in a horizontal fashion is not your cup of tea then fear not. 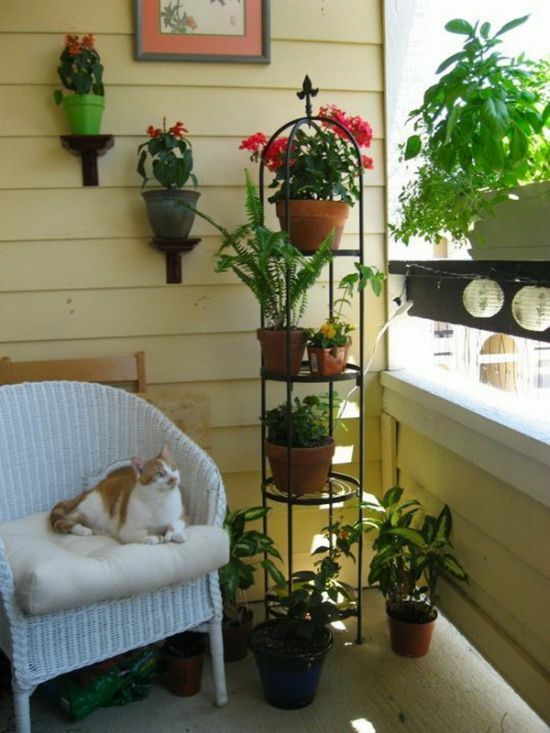 The vertical garden balcony can be done in two ways; you can either use a hydroponic wall of actual plants, or you can just design some neat fixtures in a vertical fashion and put some potted plants on them. Minimalism is all about simple, earnest design. 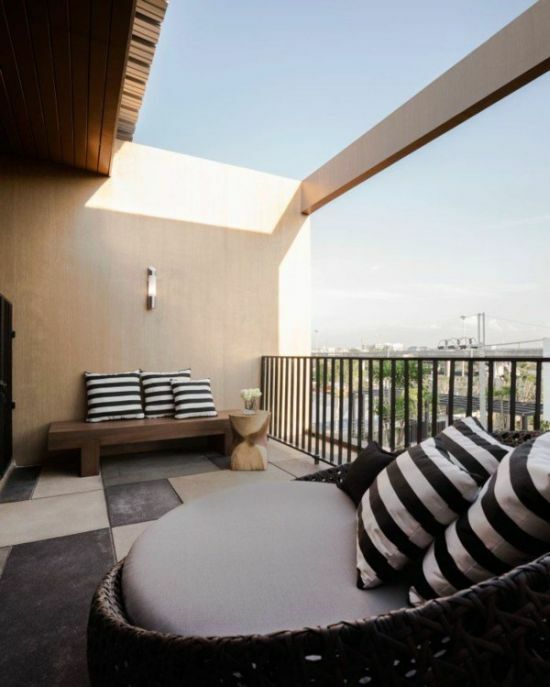 A minimalist balcony design will garner all its flair from the unadorned and straightforward elements of design – no complicated furniture or anything – just an effortlessly graceful design that captures the eye with its plainness. 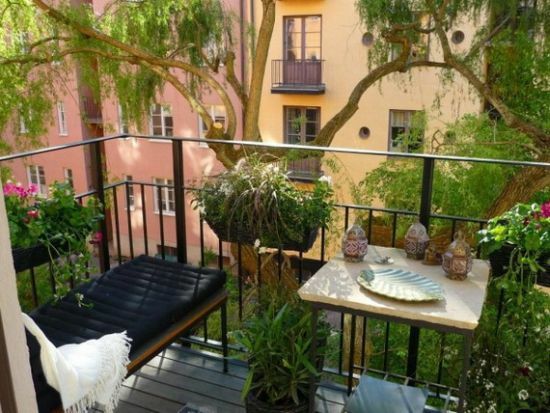 Bring out the art nouveau furniture and arrange it neatly around the space of your balcony, and you’ve got the major gist of the vintage balcony design out of the way. 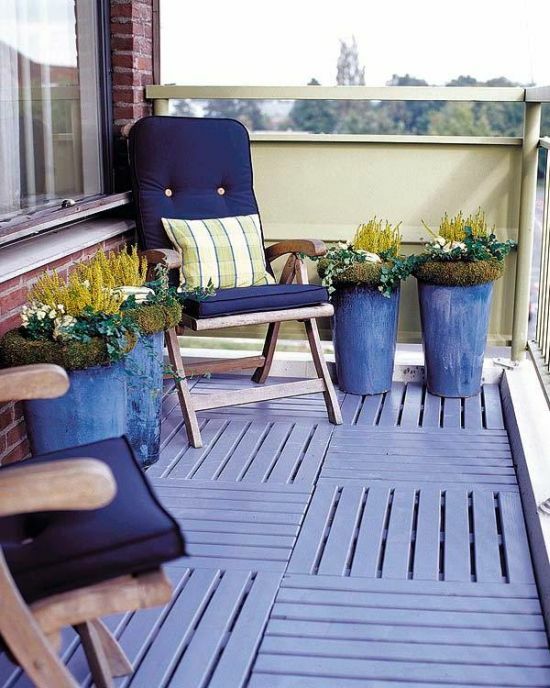 Accessorizing this style of balcony will include some vintage clay pots and outdoor rugs – very few, or no planters at all. Rustic is not just a style, it is an entire movement. So a rustic balcony design will embrace all the elements of outdoor rustic – with shabby chic furniture, woodsy aura and a country vibe. 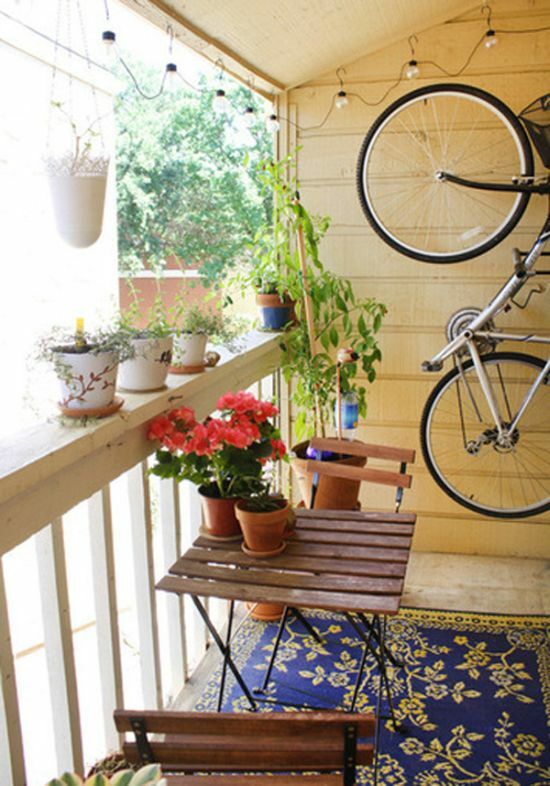 A rustic style balcony can be accessorized with some twinkling lights and terra cotta planters. 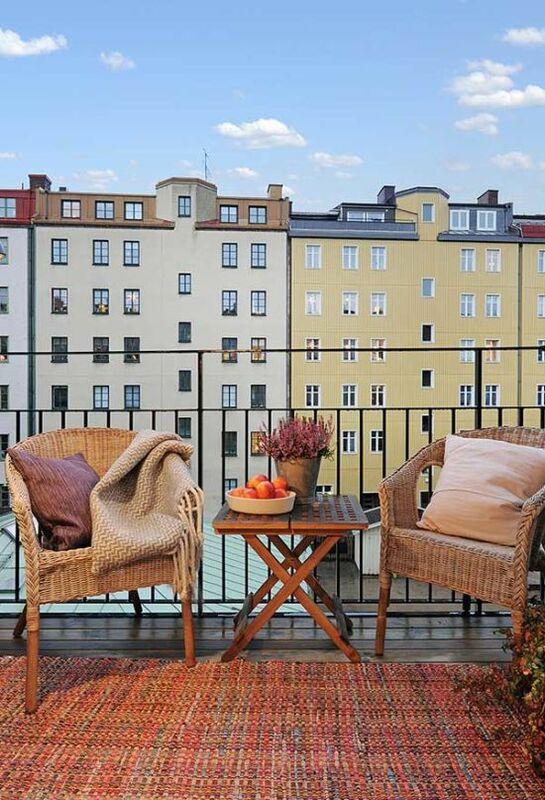 This is probably the most common style of balcony design. Since most of us cannot afford luxurious balconies to save some much needed real estate, we make do with small balconies. 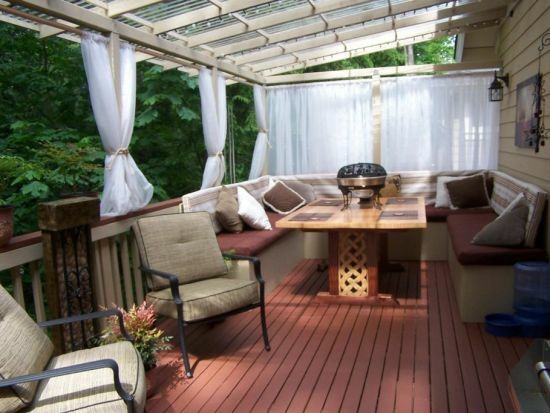 A small style balcony design will take the space constraints in consideration. 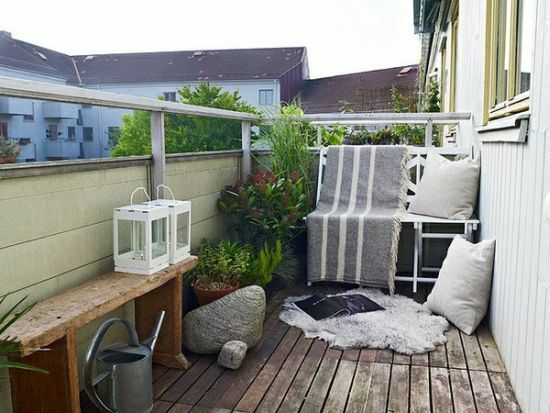 The outdoor furniture would be small, the railing would be minimal and contemporary and most of the décor would be carried out in hues of white. 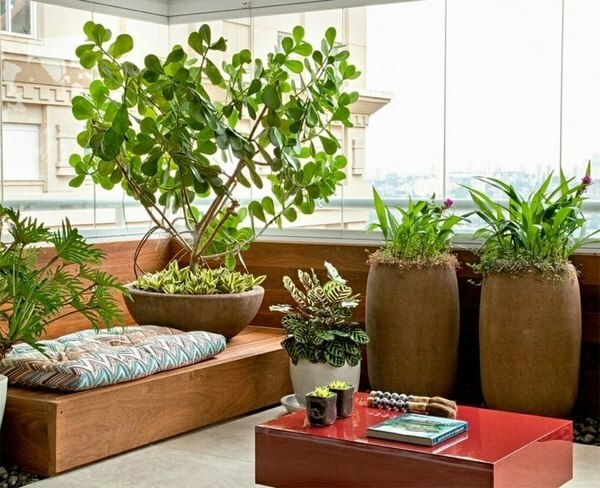 A cozy balcony design will need to be set up with a lot of furniture, and that furniture in turn would be laden with a plethora of soft cushions and pillows. This sense of automatic relaxation will reinforce the sense of coziness within the design. 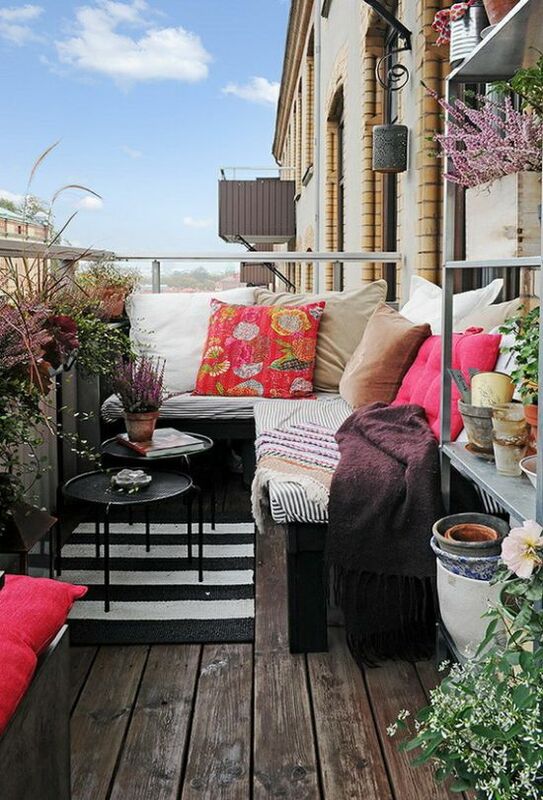 A terrace is usually wider and larger than the usual balcony. So a terrace style balcony is larger than most conventional balconies. It has to be designed in the contemporary style, with maybe a hanging pergola on top, and some sporadic furniture here or there. 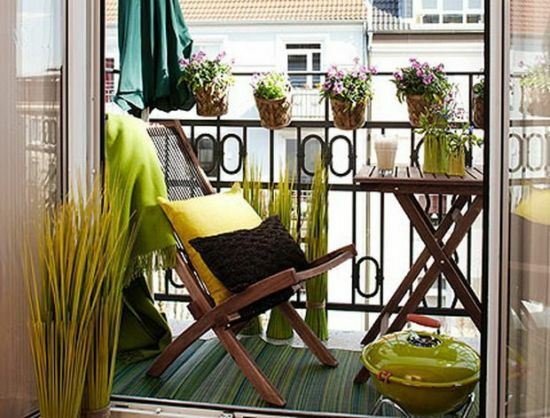 Balcony design ideas that we are rounding up have made use of trendy and modern looking furniture as adornments in balconies. 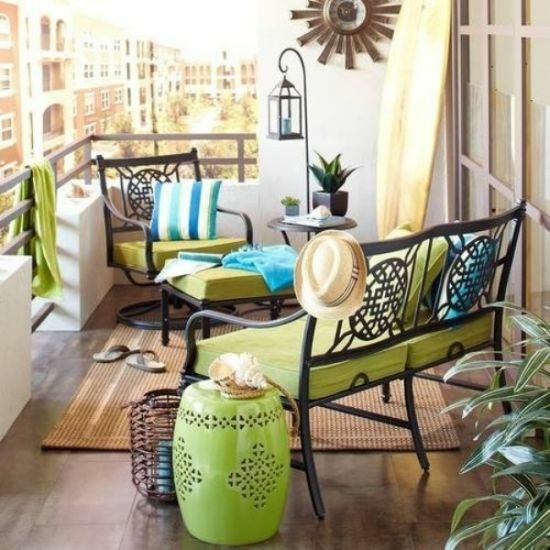 Wooden accents in furniture can lend a stunning touch to your balcony’s decor, like in the pictures shown here. 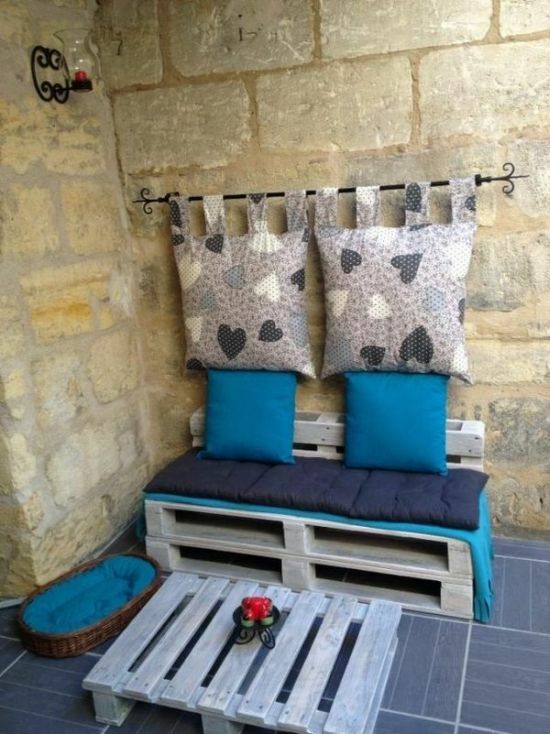 Other options available are wrought iron sofas, rattan ottomans, or wooden swings that can be used as seating. 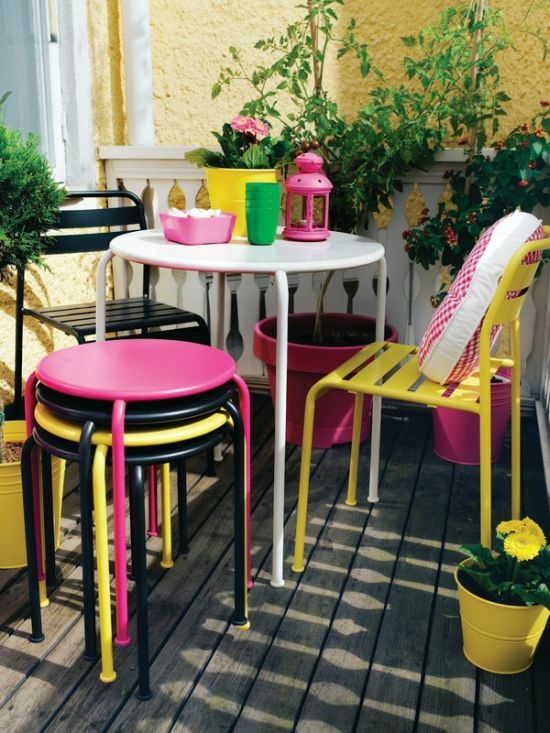 Traditional foldable chairs and tables too can make your balcony look stylish. 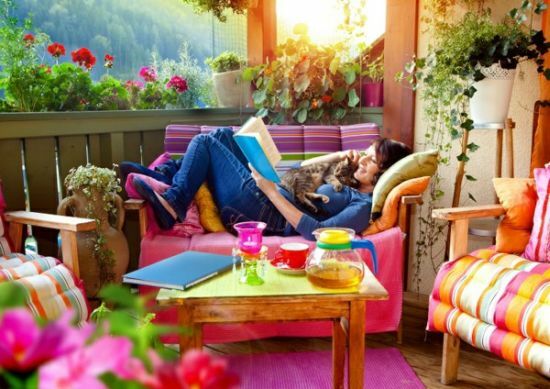 A balcony can be extended to be used as a living room provided you install comfortable features such as furniture for seating people. Many folks place chic pieces of sofas and tables and embellish with decor elements such as colorful pillows and cushions. 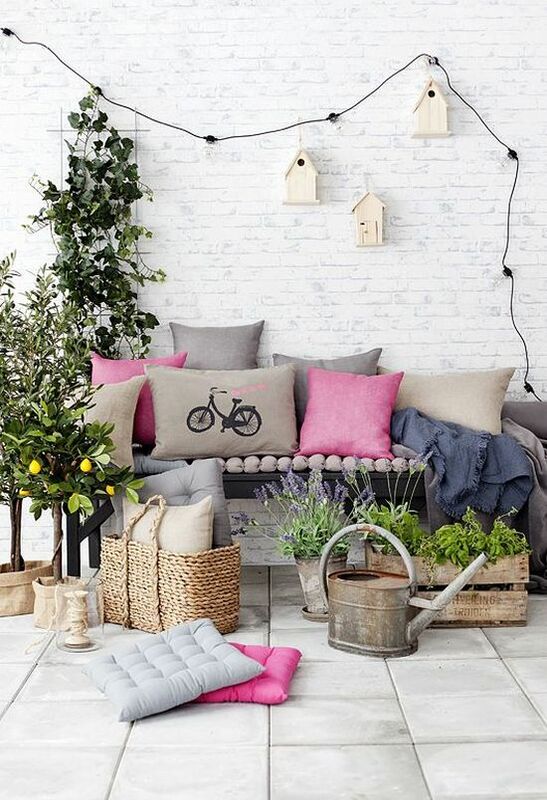 You can buy cushions of various styles and colors to make the seating more refreshing and vibrant. Colors like black and white, red, green, and blue look charming such as in the images shown here. 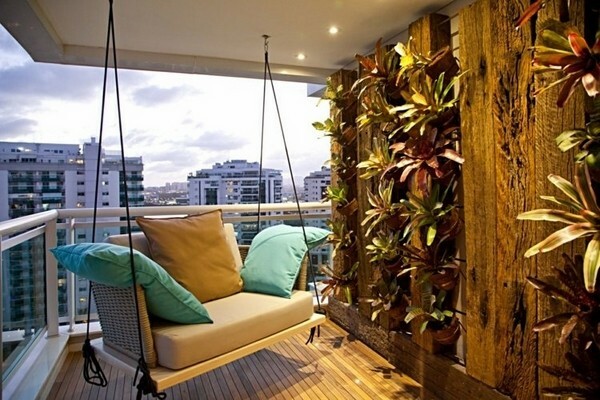 Look at these balcony designs to get cool ideas. 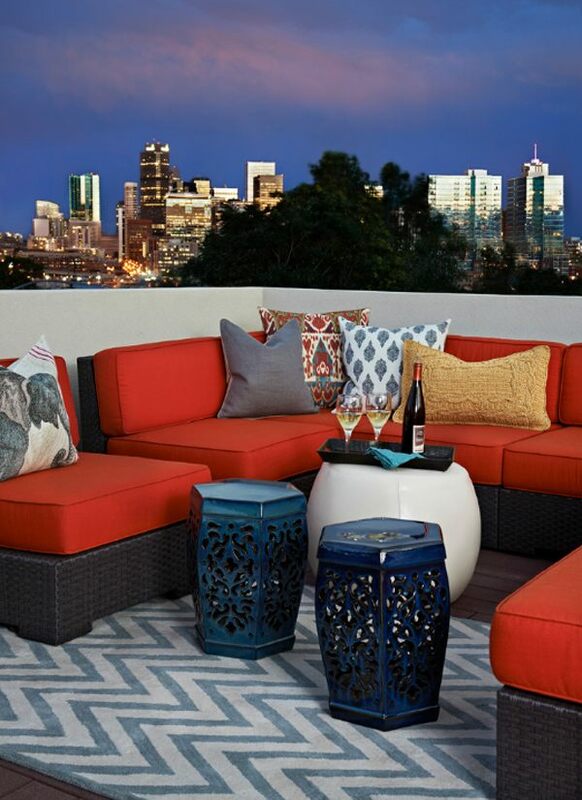 You can use balcony decorating ideas that make use of decorative accents like chic accessories involving lanterns, colorful showpieces, pillows, furniture and rugs as shown here. 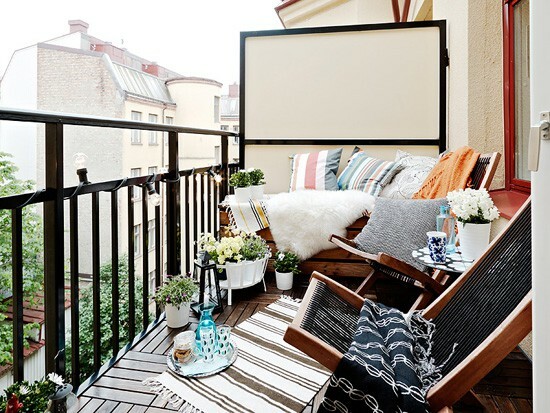 Since your balcony can be extended to be used as an additional seating spot, you can deck it up using latest trends and styles. 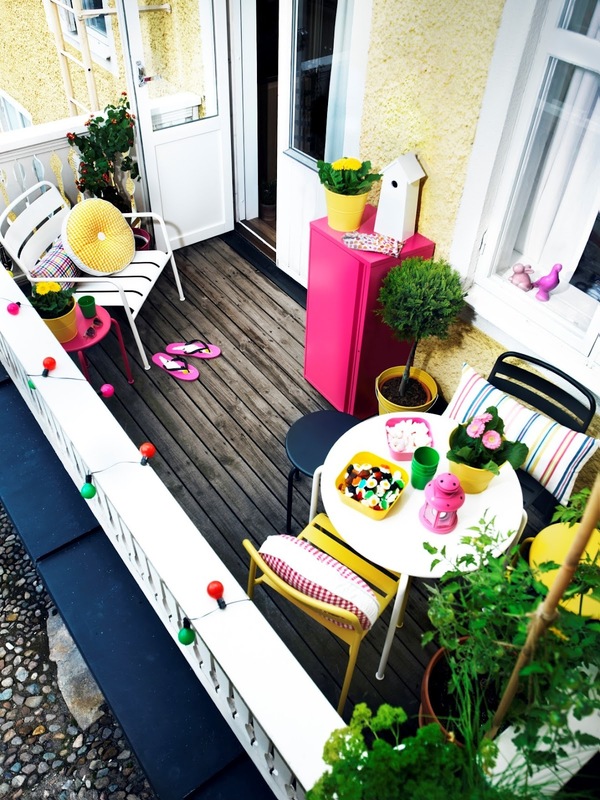 Pink and yellow color themed decorations can add sparkles to your balcony. Choosing a Swedish themed decor idea can work well too to create a wonderful looking space. A balcony design can become the talk of the neighborhood if you utilize bright and appealing color palettes all around the space, making it visually attractive to all. 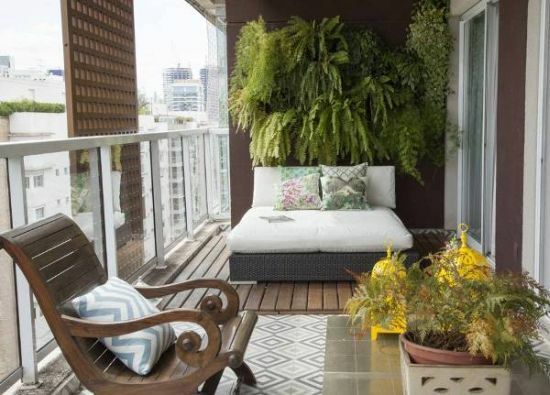 Looking at the current popularity among people to pick vibrant colors when renovating their interiors as well as exteriors, we have put together a few gorgeous examples of awesome balcony designs. 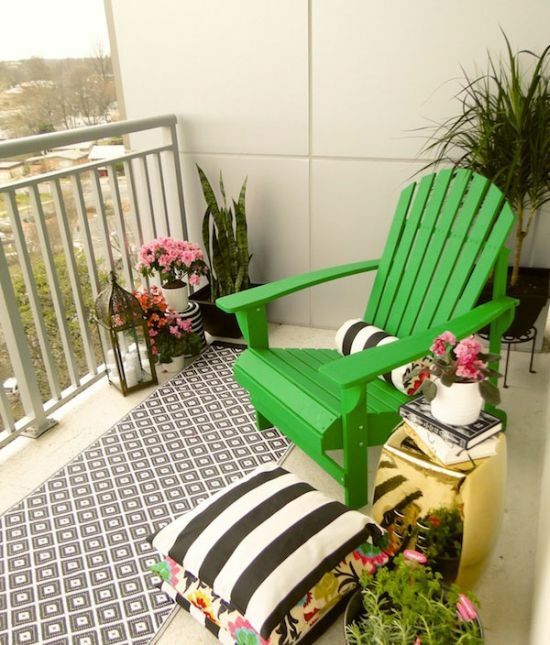 Mix greens with blacks, or choose a yellow backdrop against a white and green colored front of your balcony. The choices are vast and you can pick one that suits you. 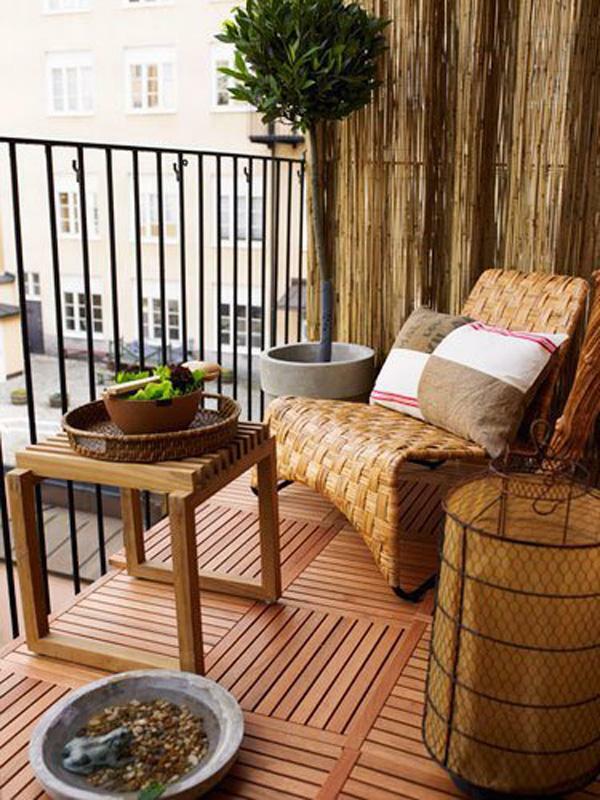 Balcony design ideas for small balconies are a tad different than ones with larger spaces. 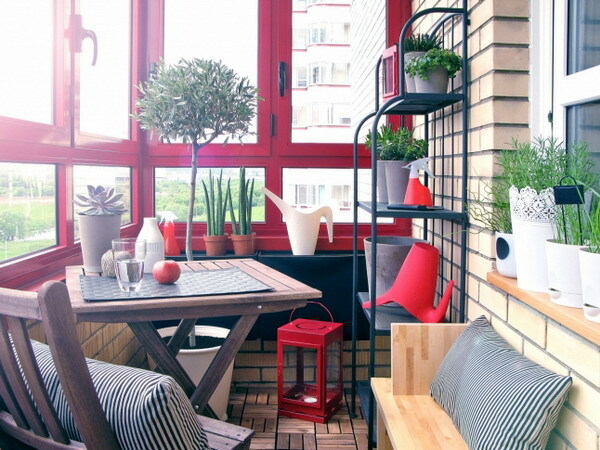 Most homes have small balconies, but they can all be made to look stylish with the latest decor elements as shown here. Now a days, companies like IKEA and others offer best of designs that are affordable for most. Also most of these design ideas are in sync with people’s needs and likes. 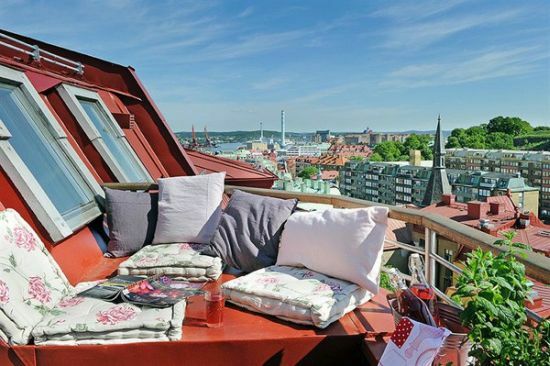 Whatever you do, do not take your balcony as a leftover space in your home. Add these features or elements to lend character to your exterior. 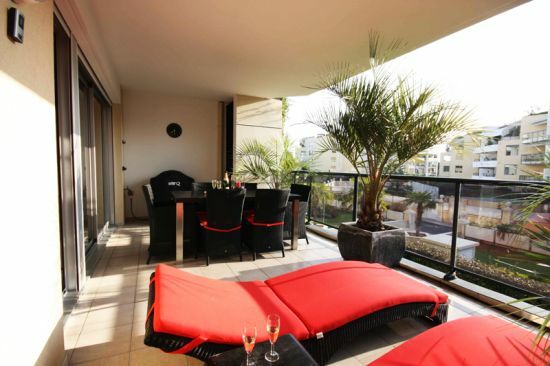 If you own a house that’s equipped with a bigger spaced balcony, then you ought to decorate it king-size. 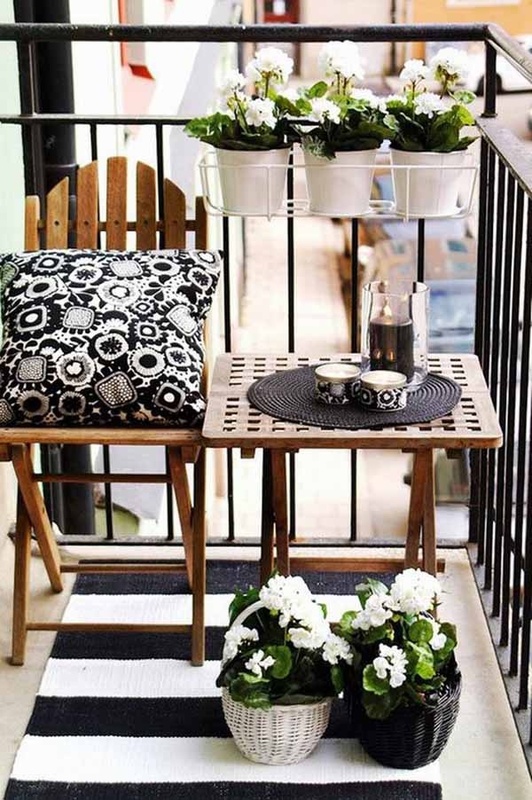 With these showcased balcony design ideas, you would get enough inspiration to build yourself a cozy seating and a relaxing spot. 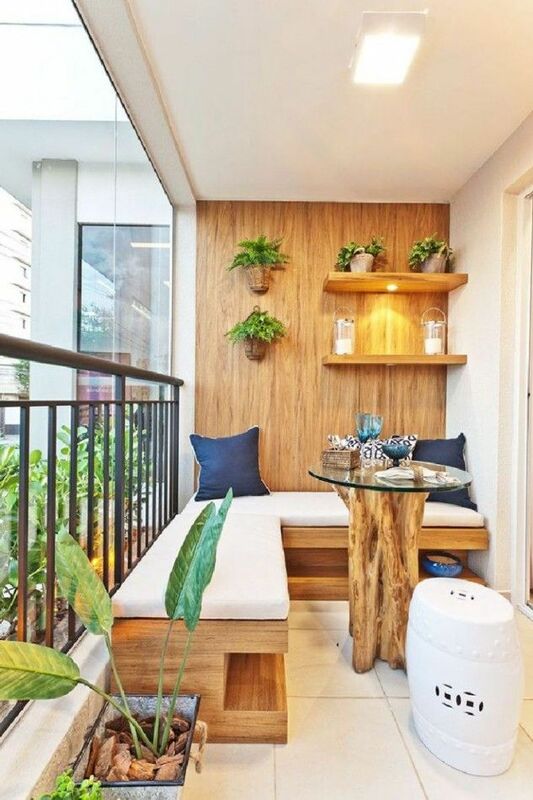 When you have a big balcony, there is scope to designate areas for seating as well as dining, Hence, make adjustments to fit in a charming eating nook as well as create a place where you can enjoy relaxing. Now that you know the various ways to go through with a successful balcony design, we hope that you get the best of your desired design.